It will happen; at some point this spring, the water temperature will reach 52. When this happens, trout will begin looking up. 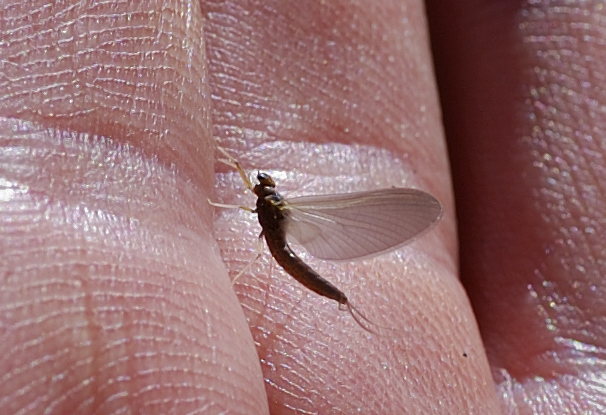 The first major mayfly hatch will be getting into action. Hendrickson nymphs (Ephemerella subvaria) will begin to emerge. 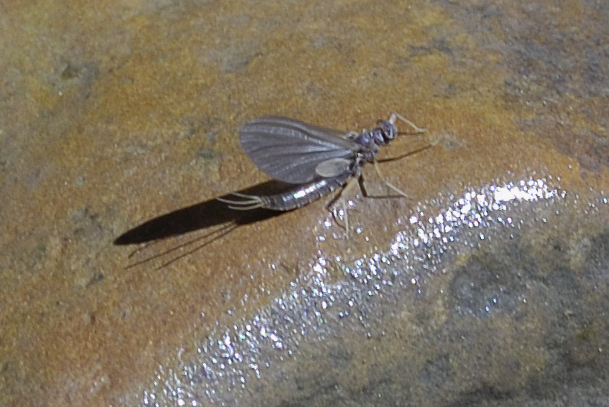 The sky will be full of swarms of this mayfly over the riffles of your favorite trout stream. Birds and fish will get their fill. 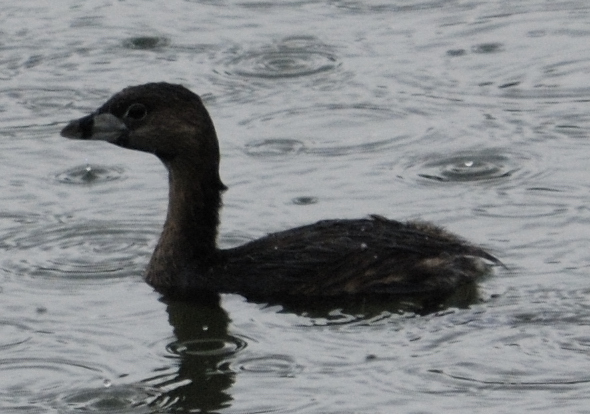 In 2012; there was a great hatch on the lower Shavers Fork on April 3. The date of emergence this year will be anyone's guess. There is a lot of warming up and allot of snow melt that needs to happen; before the Hendrickson hatch; this year. I'm betting that it will not happen until mid-April. Only your trusty stream thermometer will know for sure. They were hatching on Horseshoe Run on April 2 last year, also.Whether you are a fly-fisher or not, you should make the effort to go and see a big mayfly hatch. You will never forget the experience. The best way to predict when it will happen on your favorite section of water is to keep checking the water temperature. One day, when the magic number is reached in late-morning; the show will start. Try to be there. That little drab bird that you have seen all winter long bobbing and diving in the ponds and backwaters is no longer drab. 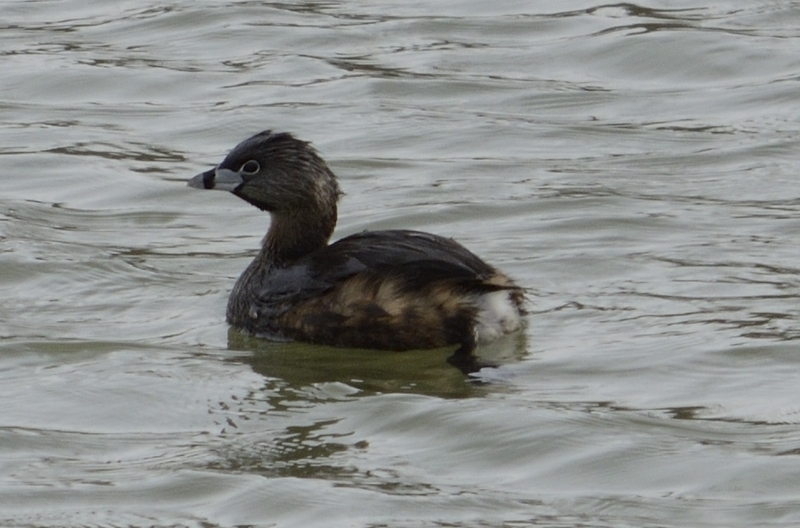 Our Pied-billed Grebes are getting some color. They are getting ready to move into secluded cattail stands to raise their broods. We do not have a strong breeding population here in West Virginia; but there are a few pairs that choose to stay here and raise their young. Soon they will be stamping down a mat of vegetation and laying their eggs. It may be somewhere near you. One will never know what is going on around them; unless they make the effort to observe. Changes happen on a continuous basis but; do we see them? Yes, changes are in the air on this first day of pseudo Spring. Do you remember when you really wished for your hunting and fishing license at Christmas? 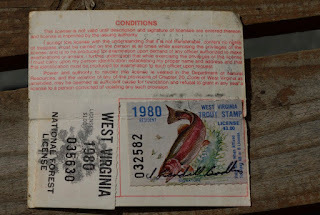 Do you remember when trout stamps looked like trout stamps? 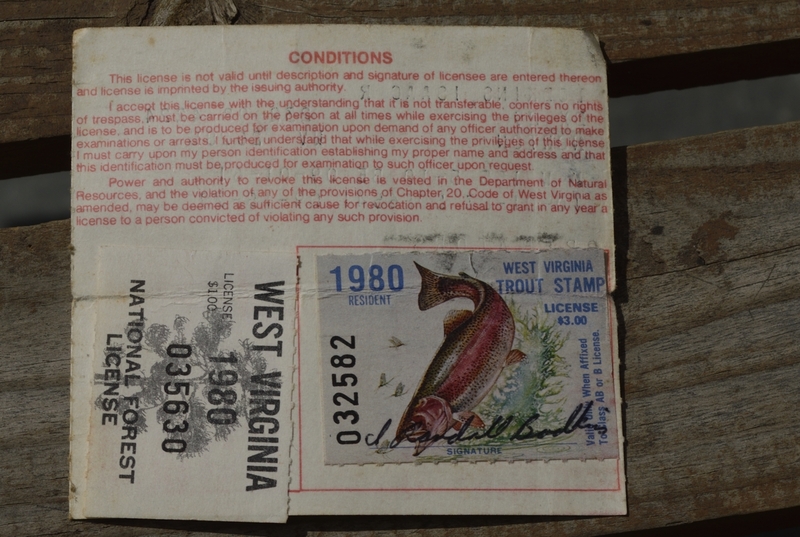 Do you remember the anxiety of making sure you had your trout stamp by the first pretty day of the new year (if you didn't get it for Christmas)? Consider yourself fortunate if you do.